EXPERIENTIAL LEARNING — the process of learning through doing — is a key component of course curricula for colleges and universities across the nation. At Louisiana Tech, students are given the unique opportunity to apply the knowledge gained in the classroom right next door at Tech Pointe with corporate partners like Fenway Group. Rick Bordelon is doing just that. 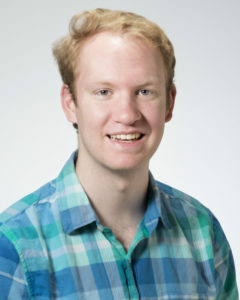 The junior computer information systems major from Ruston began his work as an associate consultant with Fenway in April 2017. His experience is unlike that of a traditional internship; Bordelon is participating in a patent-pending mentorship process that is preparing him for the IT workforce. Bordelon’s daily tasks include communicating project status to supervisors, developing applications, and setting requirements for projects. The College of Business student also has the chance to engage with clients through weekly team status meetings. Bordelon noted that these experiences have improved his business communication skills and prepared him for client interaction in his future career. Bordelon’s coursework in computer information systems has allowed him to bring theoretical concepts to Tech Pointe, bridging the gap between the classroom and professional world. “I routinely apply the programming concepts I learned from my application development classes as well as principles from my database management class when I am working with databases,” he said. In addition to his database duties, Bordelon said that Fenway is intentional about including associates in the day-to-day operations of the company. “We do not just go to work and do a job. We get to see the business side as well. We apply concepts not only from our computer science and computer information systems classes, but also accounting, economics, finance, and business communications,” he said. Though he remains busy with both work and academic priorities, Bordelon finds time to socialize with friends and be involved off campus with the Temple Tech College Ministry at Temple Baptist Church. His typical schedule consists of going to class and work during the day and studying and being with friends in the evenings. Fenway’s flexibility allows him to focus on his studies while maintaining a robust work schedule. Following graduation, Bordelon aspires to become a database administrator, a dream that will certainly become a reality with the help of both Fenway and Louisiana Tech.